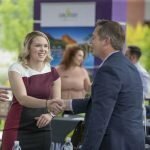 Grand Canyon University invites you to our free Community Partner Career Fair! Come meet GCU partners whom are prepared and eager to hire GCU students and alumni in the Dallas area! This is a great opportunity where you can interact with your next great employer or students can inquire about interships! Our GCU partners are looking to hire in the areas of Teaching, Nursing, IT, Finance, Pyschology and Businesss. Be prepared to take your Linkedin Headshot for Free.